Dr. Sam Malkin graduated from New York University College of Dentistry in 1970 and has been in Private Practice since his graduation. In 1974, he started his practice in a converted storeroom at 1 Center Lane and has practiced in Levittown ever since. After 30 years at 1 Center Lane, he and his partner, Dr. Karen Weiss-Camhi, moved their offices to a new, larger, handicapped accessible building at 64 Division Ave. Although only a block away from their original office their new office offers better parking and a more comfortable environment for both patients and doctors. Dr. Malkin is married and has two children. His son currently resides in Pacifica California and his daughter has a house on Long Island with her husband and child. In his off-hours, Dr. Malkin loves to take photographs and has displayed many of them in the office. Dr. Malkin is also an avid sailor and can often be found sailing the waters between Sag Harbor and Nantucket. 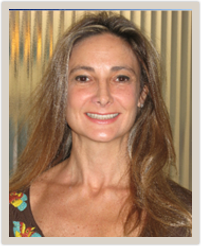 Dr. Karen Weiss-Camhi received her dental training at Boston University where she obtained her Doctorate of Dental Medicine in 1986. She completed her General Practice Residency at Metropolitan Hospital training in emergency dental trauma. In addition, she holds an MS in Speech Pathology & Audiology. Dr. Weiss consistently keeps current in continuing education and advances in dentistry by attending national and international seminars. Dr. Weiss utilizes the latest technology in lasers and implants in her practice of cosmetic and restorative dentistry. She is married with twin daughters, coaches girls' softball and is an avid golfer and tennis player. Dr. Ronald Tauber trained at the University of Pennsylvania (graduated 1979) for his dental degree, completed a hospital based residency at the Northport V.A. Hospital in 1980 and then went on to complete his specialty training at Temple University for his endodontic specialty degree. Upon graduation in 1982, his practice has been limited exclusively to endodontics. 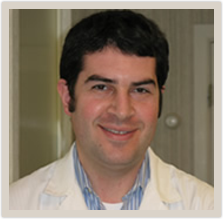 In addition to his considerable experience in the field, he is constantly keeping current with continuing education and advances in the specialty. He employs all the latest technological advancements in the specialty including Microscope Guided Root Canal Treatment. He is married and is the proud father of a son and daughter. He also enjoys participating in numerous sports activities (tennis, biking, skiing). Dr. David Hom graduated with a Doctorate in Dental Surgery from the State University of New York at Stony Brook in 1997. He was a Chief Resident of Dentistry at The Cornell/Columbia Presbyterian/New York Hospital Center in Queens between the years of 1997 and 1999. 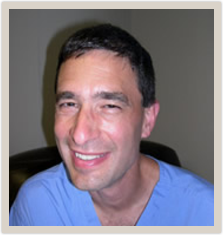 He has been in private practice since 1997 in Queens and Nassau County. He is currently pursuing his Fellowship status in the Academy of General Dentistry. He is well trained in Cosmetic, Implant, Fixed, and Removable Dentistry and also has advanced training in Oral Surgery, Trauma Dentistry and treating patients with Dental Phobias. He holds a Bachelor and Masters of Science Degrees in Biology from Adelphi University in Garden City. In the past he has also done Biomedical research in the Fields of cancer research, and toxicology. He was also part of the Suffolk County Mass Disaster Team involved in the TWA Flight 800 Investigation. 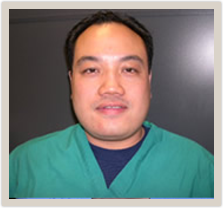 Dr. Hom constantly pursues advanced education in the dental field to bring to you the most advanced techniques and materials available to dentistry to his patients. Dr. Bornstein received his Doctorate of Dental Surgery from Columbia University College of Dental Medicine in 2004. He went on to complete a General Practice residency the following year at New York Hospital of Queens; an extensive year of training in general dentistry. He is married with three sons, and enjoys basketball and music in his spare time.